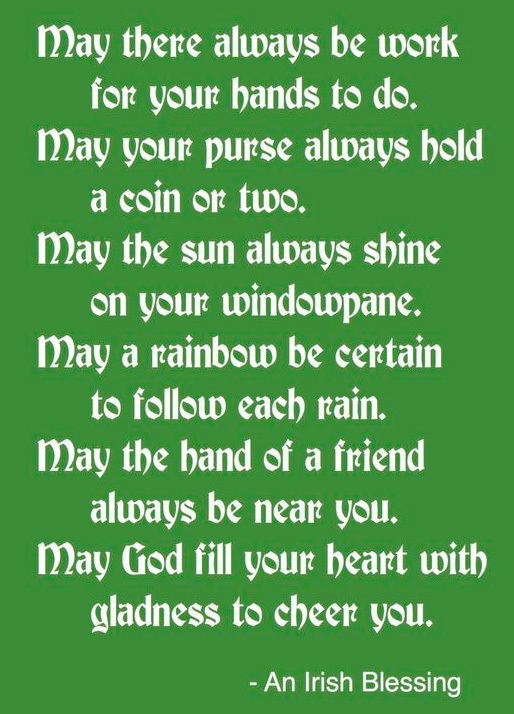 Are you looking for an Irish blessing to share with friends or maybe for an important toast that you are giving? The Irish Gift House has created a brand new page on our site where we have assembled a collection of over 60 Irish blessings for your enjoyment and you are free to copy them for your own use. The Irish are well known for their wit and wisdom and this is evident throughout their proverbs and sayings that are available for every occasion from birth to death. An Irish blessing will hall mark life's milestones such as marriage with eloquence or address an adversary in such a way that even in a curse there is humor to be found. You will also find on our Irish blessing page what is known as Irish diplomacy that is written with the talent of flattery that one receives after kissing the Blarney Stone. 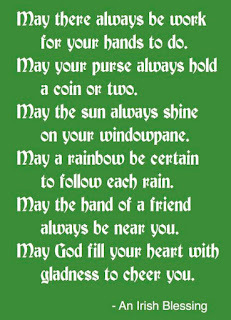 Our variety of traditional Irish blessings ranges from toasts to curses and you are most welcome to copy and use them in your next big speech. You are also welcome to browse our assortment of Irish blessing plaques and don't miss the Irish blessing plates when you are looking for the perfect sentiment for your gift giving occasions.